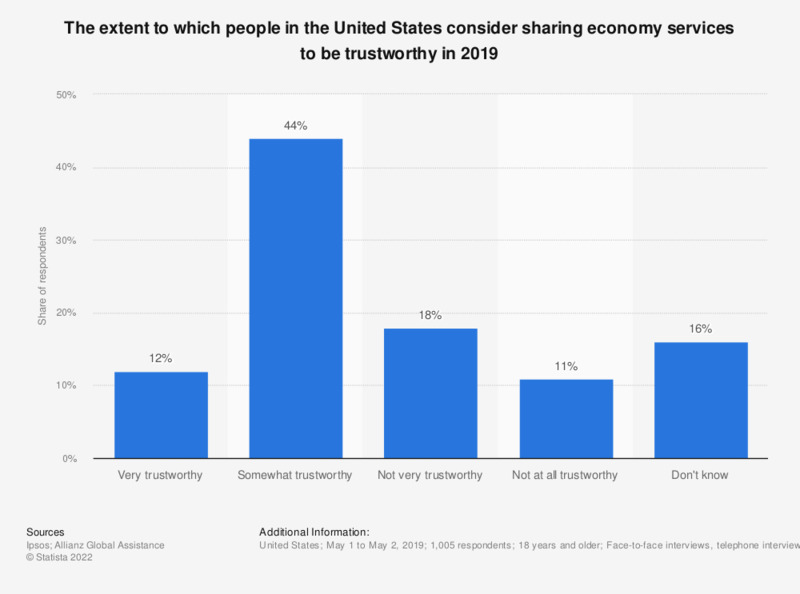 This statistic depicts the extent to which people in the United States consider sharing economy services trustworthy in 018. During the survey, 15 percent of respondents stated that they consider sharing economy services to be not very trustworthy. Sharing economy services include services such as Uber, Lyft, Airbnb and HomeAway. How strongly do you feel that you are part of your current coworking community?